OK, I know it’s no longer morning, but I’m finally getting around to last week’s recap. 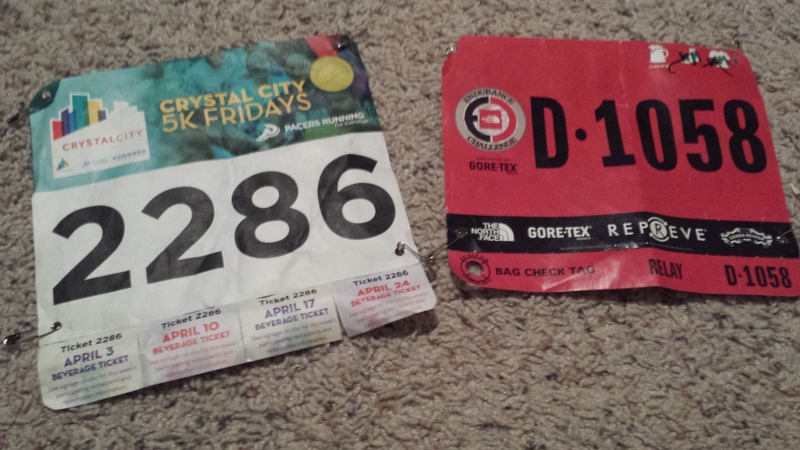 It was an up and down week with some great workouts, a tough 5k and an awesome trail relay run! Monday: My legs were feeling real heavy after Saturday’s speed session and Sunday’s race, but I pushed through three easy miles along the W&OD after work. Tuesday: P90X in the morning followed by teaching early morning boot camp. Thursday: P90X in the morning followed by teaching early morning boot camp and a quick strength workout of my own. Friday: Another day of getting in my P90X routine before teaching boot camp in the morning followed by the Crystal City 5k Friday race at night. Recap coming soon! Saturday: I ran the North Face Endurance Challenge marathon relay with fellow Oiselle teammates and had so much fun out on the trails! Recap on this one coming soon too. Sunday: I had good intentions of getting a run in, but turned into a lazy, recovery day that I really needed and felt great! I’ve said this before and I’ll say it again: I LOVE this race! 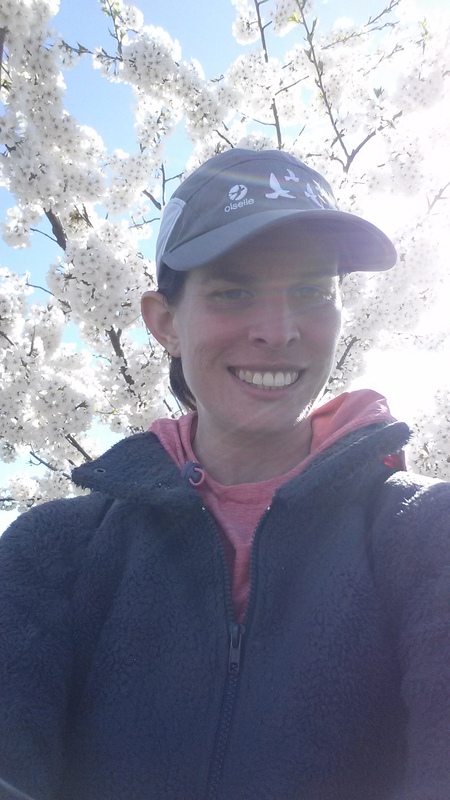 It is an awesome course, an extremely well organized race and this year the we even got to take in the cherry blossoms at peak bloom! After work Friday I took the metro in to D.C. to the National Building Museum to pick up my packet. I was able to zip in and out without waiting in any lines for my bib or my t-shirt. I went with the regular cotton shirt instead of paying for the upgrade and thought this year’s was a pretty cool design. Saturday, I kept the race weekend fun going by meeting up with fellow Oiselle teammates for a day before lunch at Vapiano. 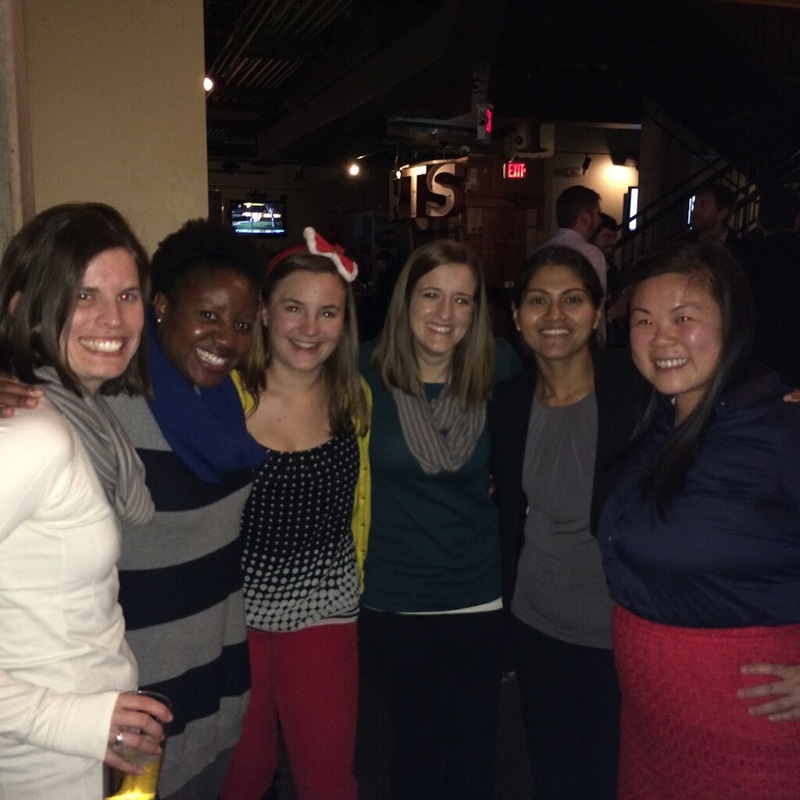 I seriously love being a member of this team – such an incredible group of women! I was up at 5:15 Sunday, had a quick breakfast and headed out the door to drive to Rosslyn where I could metro in to the starting line. 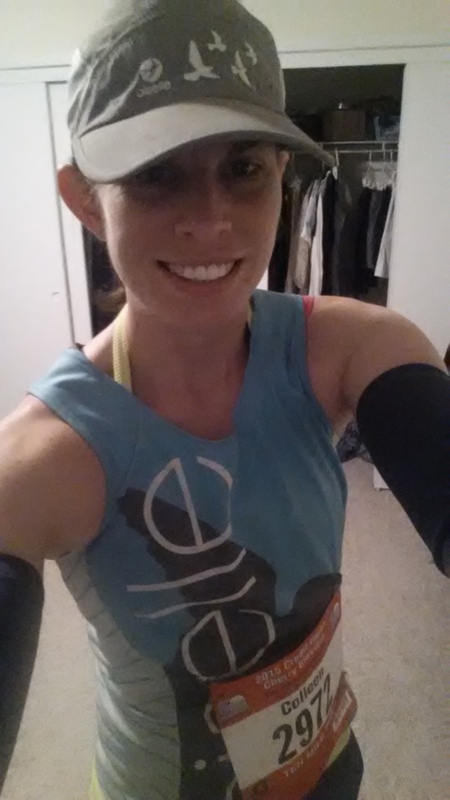 With 50-degree temps and no wind on tap I wore my Oiselle rogas, singlet and arm warmers. 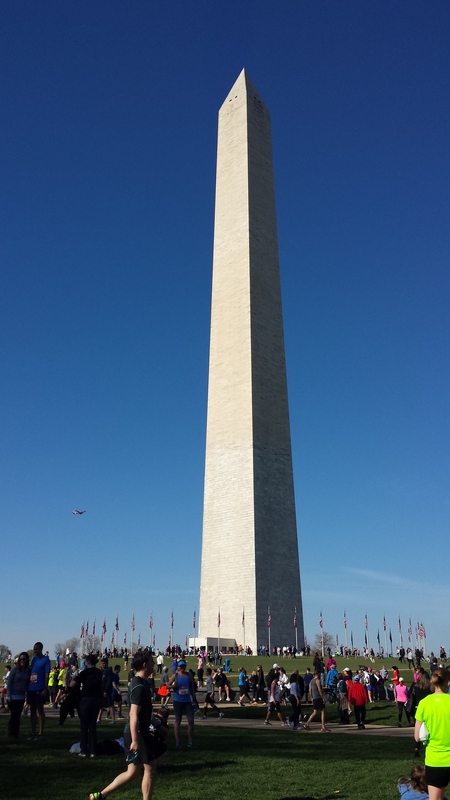 I got in to D.C. well before the race started and made my way to the bathroom lines which were a whole lot shorter and easier to access than at Rock ‘n Roll a month ago. Bag drop was a breeze and then I got in a solid warm-up before getting into my corral. I probably got in a bit early and ended up having to stand around for 15 or 20 minutes before we started. Shortly before the race there was an accident on the course that forced them to change the course at the last minute. Race management did an incredible job of communicating this change and the race still went off on time completely seamlessly. Between miles four and six they ended up cutting out about a half of a mile. We set off down Independence Ave and out and back over Memorial Bridge. I promised myself I wouldn’t start out too fast for once and made myself stay behind the 8-minute pacer for the first mile. I felt really good and strong. The miles ticked by as we ran out on Rock Creek Parkway and back toward Hains Point. Miles four through six especially flew by! By mile seven my legs were definitely starting to feel the fact that although I’ve been doing a great job working on speed, I haven’t been running much more than three or four miles at a time. I felt like I was crashing hard. I tried to pump my arms hoping my legs would follow, but around mile eight the 8-minute pace crew caught up to me. I did my best to keep them in my sights and tried to enjoy the beautiful cherry blossom trees lining the road. I was really relieved to hit mile nine and leave Hains Point behind and head to the finish line. I always think of the last mile in terms of just having to run four laps around the track, so I loved that they had signs signifying the last 1200, 800 and 400 meters! I also love that the final sprint to the finish line is a slight downhill! I crossed the line in an unofficial time of 1:16:28 for roughly 9.5 miles averaging just over an 8-minute pace. They are still re-measuring the course to come up with an official distance and will give us projected finish times, but I’m fairly confident I would have made it under 1:20. I was so pleased with this time. It’s still a little bit off my PR on this course, but so much better than I’ve been doing and I really feel like my speed is coming back. I’m so close to getting back to where I want to be and seeing where I can take it from there! After I crossed the line I grabbed a water and made my way back to bag check. They were so well organized that they spotted my bib number as I was walking up and had my bag ready by the time I was at the table. I changed into a dry shirt and a hoodie and headed back to the finish line to see friends cross, but there were just so many people there I finally gave up and headed home. Instead of dealing with the metro I took advantage of the beautiful weather and walked back down the Mall, over Memorial Bridge and into Rosslyn where my car was parked. I went straight to my favorite bagel place in Courthouse – Brooklyn Bagel Bakery where I enjoyed an everything bagel with egg and cheese and a hot chocolate! Pretty good way to start off a Sunday! Once again I’ve been MIA for awhile, but I’ve been busy with lots of good things happening. This week started off awful with no runs Monday through Wednesday, but then I had a strong end of the week, so I’ll focus on that for the recap! Thursday: I taught morning boot camp then got in my P90X core workout. After work I put in just under 4 relatively quick, but still felt easy miles along Four Mile Run & W&OD trails. 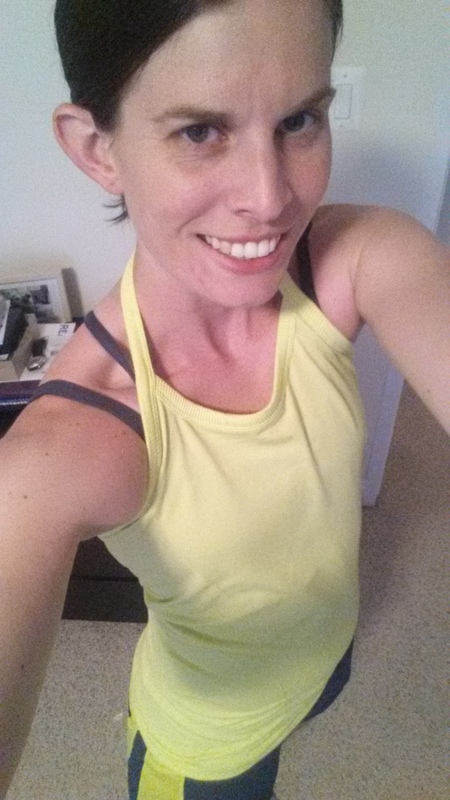 I was motivated for this run thanks to the arrival of my new Oiselle tool belt roga shorts and wazelle halter tank – the near 70 degree temps didn’t hurt either! Friday: I put in a speedy out and back negative split run along the W&OD for 4 miles. Saturday: I was up early and all bundled for a very easy nearly 4 mile shake out run along Four Mile Run & W&OD. After 70 degrees two days earlier, a feels like of 22 felt awful! 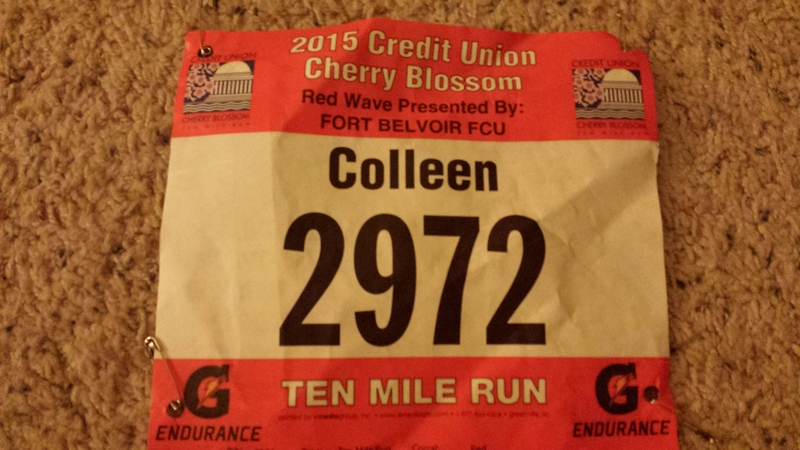 Sunday: I ran the B&A Trail Half Marathon up in Annapolis and had a pretty good race – more to come soon. I also got in my P90X core routine and a Pure Barre class with my fellow DC Oiselle teammates in the afternoon. Pretty good day for working out! Last week was a fall back week that turned into an even easier than planned week in part due to weather and also a bit of travel. I flew back from New Hampshire on Monday and then was off to Syracuse on Friday morning. Both very cold visits, but very fun also! I put in 4 runs for a little over 20 miles. Here’s the day-by-day breakdown. Monday: Travel day – did not make it to the gym after getting back. Tuesday: Unplanned rest day. I ran out of energy to battle the cold by the end of today and decided to just head home after work. Wednesday: I was up super early to teach a 6 a.m. boot camp in Bluemont Park. It was about 19 degrees, but 5 brave souls made it out for the morning workout so I had some fun with it and did my best to keep them moving and warm the whole time. I put in a 5-mile run at the gym after work plus a brief upper body workout and my P90X core routine before heading home and crawling into bed before eating dinner I was so tired. I do not know how I used to teach 6AM and 6PM boot camps every day on top of my regular 9-5 job! Thursday: I put in a great 5 mile run along the Mt. Vernon trail after work. 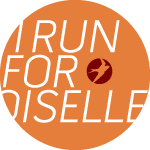 It had snowed that morning, but warmed up to the low-30s that evening and the trail had been cleared making for a great run followed by a fun happy hour with the Oiselle crew! Friday: I had great intentions of getting up at 5 a.m. again and hitting the gym before my early flight to Syracuse, but it just didn’t happen! Saturday: Facing a tempo run in single digits, my Mom saved the day and got me into the local Y with her where I got in a great 45-minute tempo run! 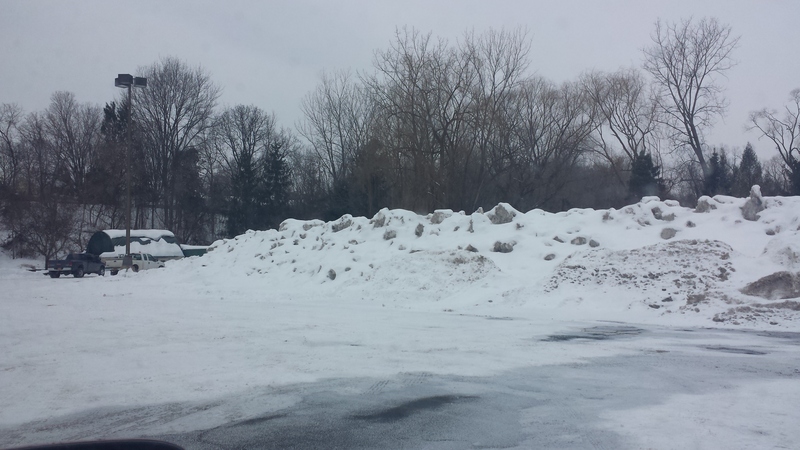 The crazy big snowbanks in the Y parking lot in Fayetteville near my parent’s house. Sunday: I decided to swap my long run out and put it off to early next week when I’m back in D.C., so Mom and I made another trip to the Y and I put in a tough, progressively faster five miler. Marathon training week five was a mix of good and bad. 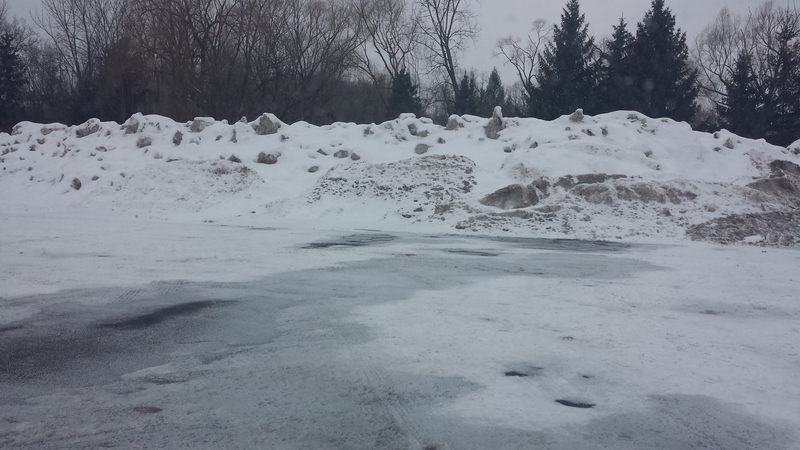 The good – I got to do most of my runs in warmth and sunshine since I spent Christmas down in Florida with my family! It felt so great to run in shorts and a tank again. The bad – while I’m getting my miles in my paces just aren’t where I want them to be. I’m hoping that changes once I completely shake this cold, but I’m definitely not there yet. I also missed one of my runs this Sunday. All together I put in just under 40 miles for last week and am looking forward to working on pushing the pace this week. Monday: I used all of my motivation to run 6 easy miles after work in the cold, freezing rain and dark. It wasn’t pleasant, but was one of my best runs of the week. Tuesday: Rest day. 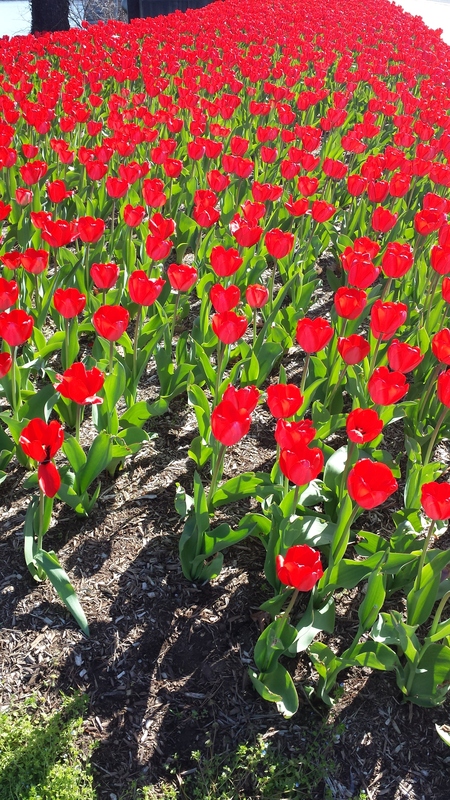 I spent most of Tuesday traveling – thank goodness for Gogo internet! Wednesday: I headed out in the heat and humidity Wednesday afternoon and loved every bit of it! I had planned to run to the track and get my interval run in, but it was all locked up. Instead I explored the streets and put in a little over 6 miles. Thursday: I put in 7 Christmas miles sticking close to the neighborhood we were staying in. Friday: Even though the track was locked up, I made my way over to the high school here and put in five 1000 meter repeats on the empty roads around the school. Phew, that is a long way to go when pushing the pace. 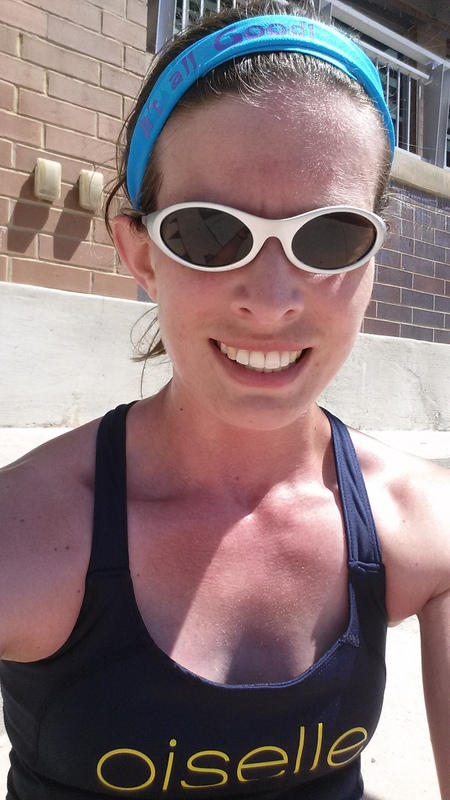 I’m not exactly looking forward to this week’s 1200s, but I felt so pumped when I completed the workout! Saturday: After a bit too much to eat and drink on Friday night I was not super excited for my long run, but knew I had to get it in. Luckily I packed my Nathan Hydration vest for the trip as it was another hot and humid one. It was a bit slower than I would have liked, but I got all 12 miles in and took in some great views when I ventured down to the Boardwalk by a marina. Sunday: I ran out of motivation today after stacking all of my hard runs at the end of the week and ended up passing on today’s tempo run. I’m hoping to get it in on Monday morning though!